​ Frank and Linda Distad serve in northwestern Wisconsin, where many people do not attend church. The Distads saw the need to reach the un-churched with the gospel message. 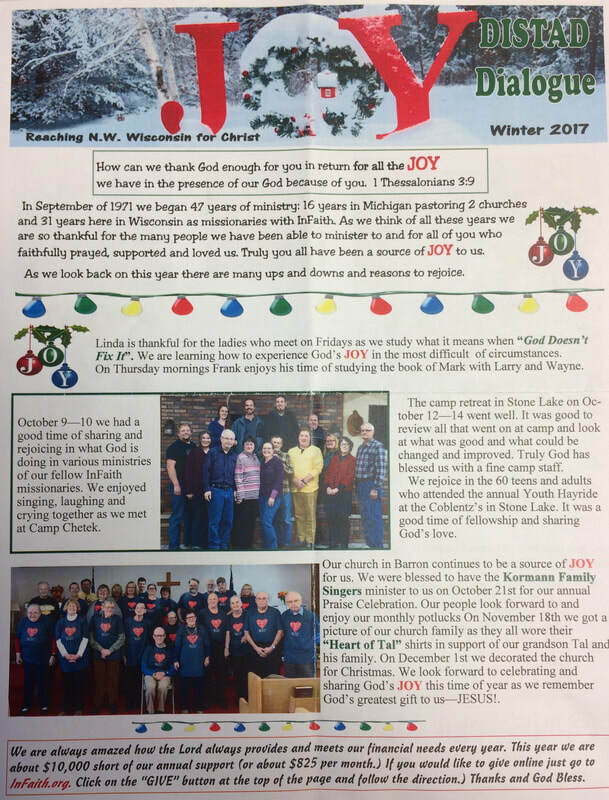 They serve through Vacation Bible Schools in rural areas, teen ministries, adult Bible studies, and Frank pastors a church in Barron, Wisconsin. Frank is also the director of NorthLand Bible Camp, which has shifted its emphasis to draw in campers from non-Christian backgrounds. 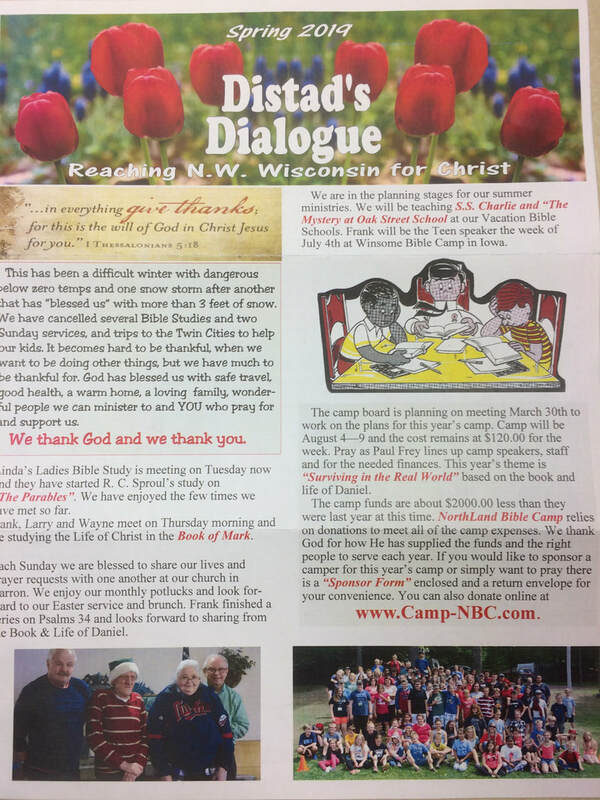 After seeing the need in their community, the Distads became involved in several different ministries to reach children, teens, and adults in northwestern Wisconsin. 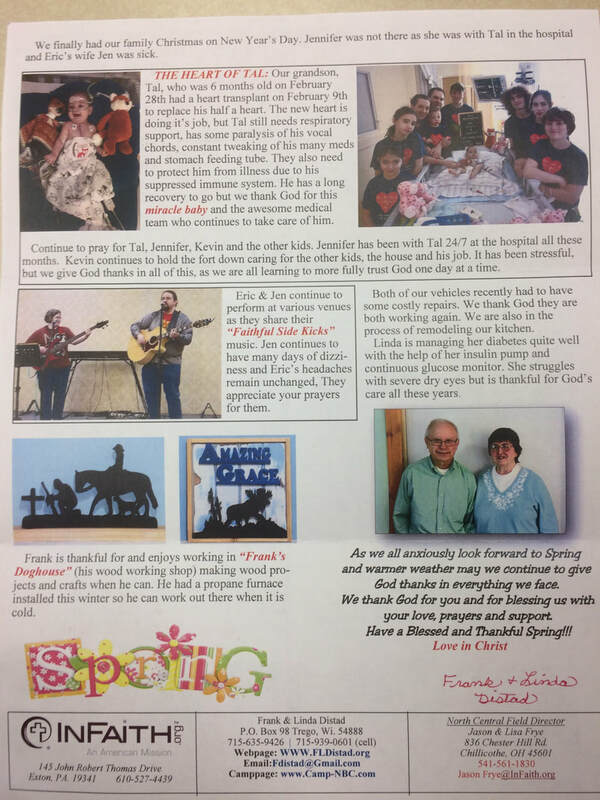 They serve through Vacation Bible Schools in rural areas, teen ministries, adult Bible studies, and Frank pastors a church in Barron, Wisconsin. The Distads have served as InFaith field staff since 1987. Both Frank and Linda attended Grand Rapids School of Bible and Music. 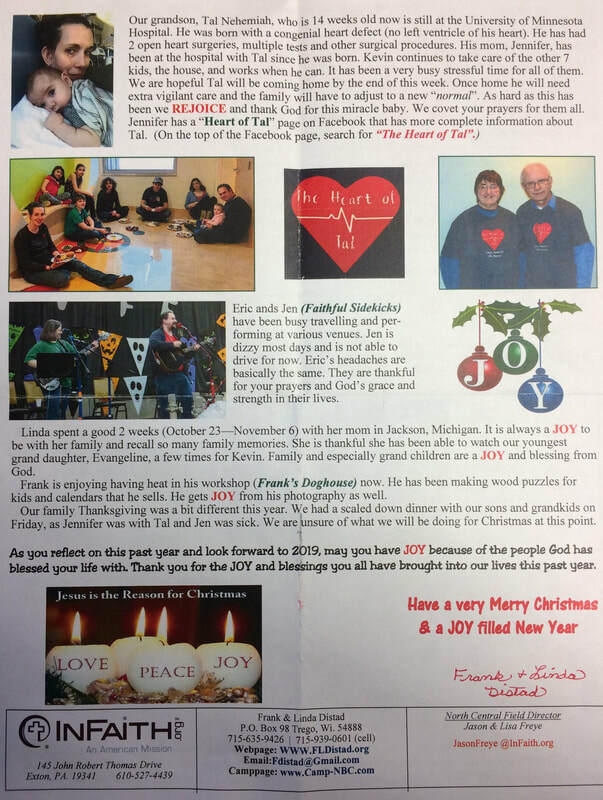 Frank pastored two churches in Michigan before the Lord called them to serve with InFaith in Wisconsin. They have two sons and six grandchildren, all of whom live in Minnesota. Frank is also the director of NorthLand Bible Camp. Since its start in 1991, the camp has shifted its emphasis to draw in campers from non-Christian backgrounds. NorthLand serves three purposes: introducing children aged nine to seventeen to Jesus, helping them mature in their spiritual journey, and providing an annual weeklong ministry opportunity for the adults who serve on staff. The camp is nondenominational, and Frank and Linda have seen it reach kids from a variety of backgrounds.